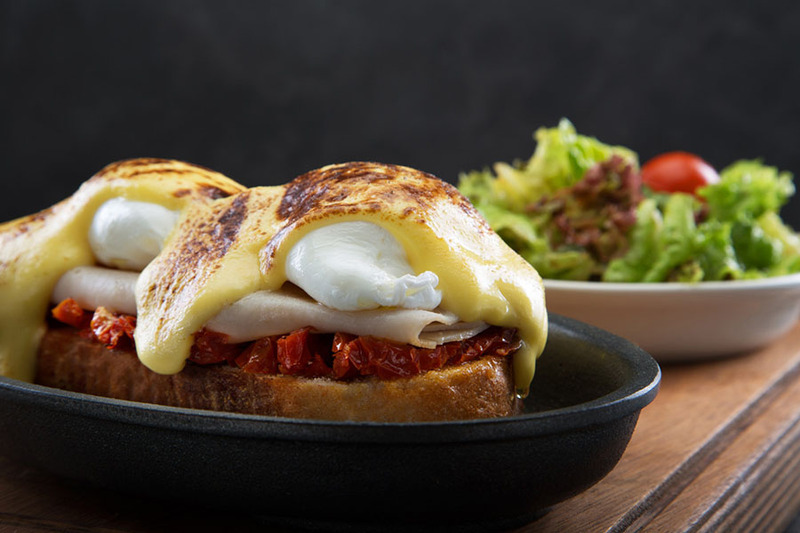 Just the sweet aroma of Life with Cacao’s fresh breakfast will make your stomach rumble. From pancakes that are almost waffle-like on the outside and buttery-soft on the inside to fluffy eggs with just the right amount of golden brown crisp at the edge, Life with Cacao’s breakfast offers you the essentials of having the most spectacular morning every day. 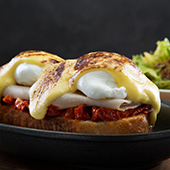 Try our classic poached eggs with turkey served on a bed of bread and topped with our classic hollandaise sauce. 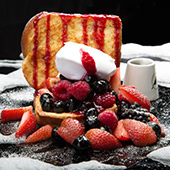 A colorful French toast that comes with a fresh mix of strawberry, raspberry, blackberry, and blueberry with prime syrup and a spoon of crème fraiche. 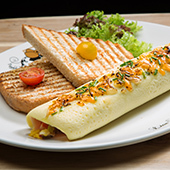 The golden, smooth oval of the classic French Omlet is topped off with cheese and fresh chives and comes with a tender, creamy inside made up of egg custard flan, fresh bell peppers and mushroom. 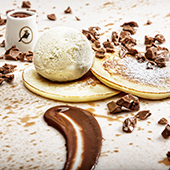 Enjoy a delicious mix of our special dark and milk chocolate sauces and vanilla ice cream.